There has been a resurgence in the interest in vampires of late (witness the Twilight books/movies and “True Blood”, etc. ), although it never really went away. This book is for the Living Vampire – the one who seeks to live in glamour and ritual on a daily basis – not the “kid in a cape” who plays at being an immortal being. The first thing which struck me as I began reading this book was the consistent use of jargon as a means of establishing the “difference” between those who follow this particular tradition and those who do not. This is an obvious first step in separating two individual worlds, and has been in use for hundreds of years – most recently distinguish between members of the neo-Pagan community and the “mundanes” or “muggles”. It is refreshing, however, to see that the author makes no attempt to convince the reader that this tradition has existed unchanged for centuries. to acknowledge any real understanding of these systems to be unacceptable. 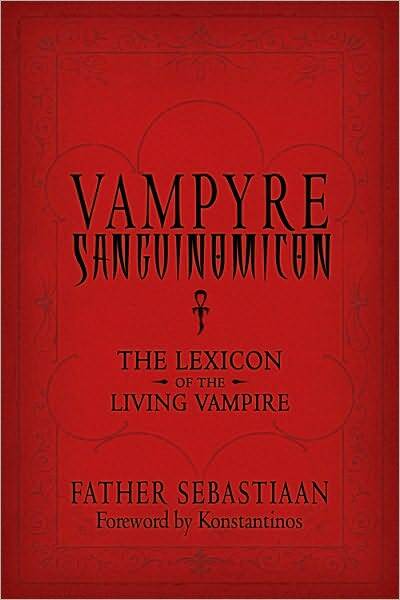 I am in no position to question the sincerity of Father Sebastiaan, since I am not a member of the Strigoi Vii. I am familiar with the elitist tone of the writing in this book and can testify that it is often a sign of sincerity – if not always objective truth. Whether or not this book is objectively true, for a certain number of readers it will be subjectively true. The first portion of the book is dedicated to providing the background and underpinnings of the lifestyle of the Strigoi Vii. Parts of this section will likely seem highly fantastic and/or delusional to some who read it. Other readers may have an “ah, ha!” moment as a result of what is laid out here. One minor quibble, and I freely admit that it is strictly personal, is the excessive (in my opinion) use of capitalization. Words such as “we” and “immortal” really don’t rate capitalization by the rules of English grammar as I learned them. I must also admit that I resorted to skimming while reading this book, as (for a variety of reasons) I found it less than a compelling read. This is, in no way, a condemnation of the contents or the style of writing. It simply didn’t resonate for ME. Your experience may be different. If you have felt a call to the Vampyre lifestyle, for reasons beyond a fashion trend, or a desire to shock friends and family, you will find this book will offer you insights, and provoke your thought processes. It is not a book for everyone, but then, it sets out with the intent of not being one of those. For those who are looking for inspiration, this may be what you have been looking for.